Step 2: Sign-up for your fundraising Page – LINKS COMING SOON! VIP Entrants who undertake to fundraise their entry fee will have their race entry fee refunded when a fundraising total of $150 is reached. VIP entrants who do not achieve their $1,000 fundraising goal by Oct 10th, may not be eligible for race day VIP perks. Please contact us for more information at info@artinmotion10k.com. We understand that asking someone for money can feel like a tricky thing to do, but with some practice you’ll be a pro in no time! Here are some tips to make your fundraising a little less stressful. 1. Let the world know what you are doing! 2. Move it online. Go social! On-Line fundraising is most peoples “go to” for soliciting and donating. So go for it! Get social and post, tweet, and email your personal online donation link to everyone you can think of. You can never tell who will give you a donation and who won’t. Or how far your message may go. No harm in asking. There is no question that while it may feel easier to email or call, sometimes the most effective way to inspire someone to make a donation is to talk to them face to face. Also, Aunt Matilda (or Matti as she likes to be called) doesn’t exactly work her smartphone like your teenager does. You sometimes just can’t reach everyone electronically. 4. Educate yourself on the issues. This is where some people shine! Host an event like a bake sake, garage sale, sell friendship bracelets, hold a bottle drive – the possibilities are endless! Ask your employer if they will support you with events at work, have a donation matching program with SickKids, or perhaps they would like to become a Corporate VIP sponsor highlighting their commitment and Corporate Social Responsibility to such a worthy cause. If someone says no, move along and ask someone else! Never be discouraged. You never know who will donate (or who won’t), but you are doing an amazing thing helping Children in a difficult circumstance. Most of all remember that we appreciate all that you are doing to support the Art In Motion 10K and the Department of Rheumatology at SickKids. Corporate VIP Entries entitle the Corporate participant to the same VIP privileges listed above without the fundraising commitments! Corporate entries pay $1,000 for up to four VIP entries. This entry fee helps support the VIP fundraising program and the Dr. Bonnie Cameron Post-Secondary Scholarship. Please contact info@artinmotion10k.com prior to registering. We are excited to have corporate groups participate and consider ourselves to be the evolution of the golf tournament! For the cost of a charity golf tournament, why not secure four VIP Entries to the Art In Motion 10K. The corporate participant will get to spend quality time with their client while running, dining, and, finally, touring an amazing collection of Canadian Art. WHAT’S IN OUR PREMIUM “SWAG” BAGS? Front of the line access to food, massage, and bag check! 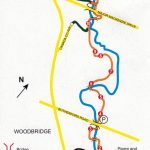 The 10K will run a point to point course through secluded pristine trails from Bindertwine Park in Kleinburg and finishing at Boyd Conservation Area. Participants will be shuttled to the start line. The 5K and 2K courses will be located in Boyd Conservation Area. Overview of Race Location – Race routes – Coming Soon! Race “kits” will be handed out on the day of the Art In Motion 10K. • Create a team when you register or join an existing Team! • There is no additional cost to create or join a Team! • There are no limits/or minimums for the number members a Team can have. • Corporate VIP Teams will receive complimentary Team names or Corporate Logos on their shirts. Please contact the race director at info@artinmotion10K.com for more information. • VIP Teams may “pool” fundraising money to ensure all VIP team members reach the $1,000 minimum fundraising goal. For example: a 5 person VIP Team is responsible for raising $1,000 each or $5,000 in total. If 4 of the VIP team members raise $500 each or $2,000 (4 * $500) and the 5th member of the team raises $3,000, the Team has raised the required $5,000 to qualify each of them for VIP status.